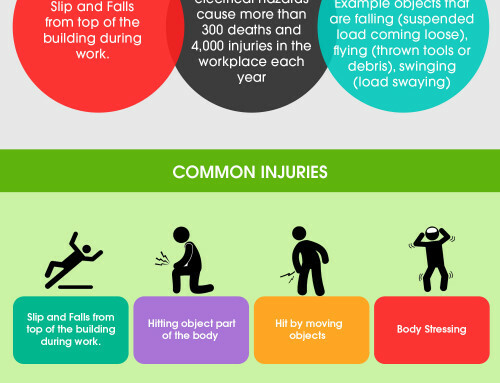 Generally, safety and health hazards are associated to every professions. Health and safety risks can be dangerous and render workers useless, reduce company profits and sales as well as delay work rate in all company and industries. As much as being careful could be a nice advice for workers and employees, being knowledgeable about the risks and hazards that are common to the work they daily do is very important and pertinent. In this article, I will be discussing various risks and hazards that are related to construction works. During construction or demolition of buildings, workers and employees often work at heights. A 2014 report stated that falls from heights is responsible for the most fatal injuries and accidents on construction sites. There is therefore the need to train and sensitize the construction workers about avoiding falls from height by using the correct personal protective equipment. Buildings may collapse and if it does collapse, it causes severe and fatal accidents and injuries. Hazard of an unexpected collapse is generally more related to demolition works or when almost completed building or scaffolding collapses. Precautions however, must be put in place. Noise is a pollutant. Noise is found and experienced in construction companies and sites where welding of metals, hammering and other operations that causes noise is unavoidably done. This noise over time causes risks and hazards to construction workers and employees. 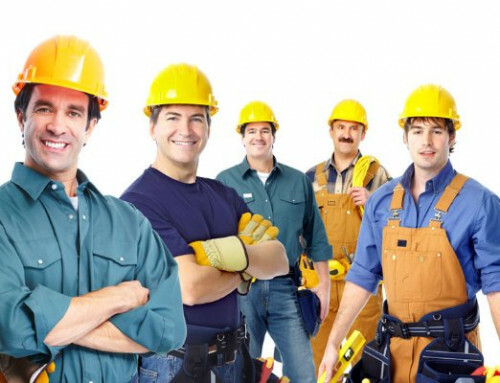 Perfect construction safety equipments that can reduce the effect of noise is available and must be made available to construction workers for use. Asbestos poses risks and hazards to construction workers and employees in that many building has harmful asbestos materials. This harmful materials cause respiratory diseases over time. Workers and employees must be told and taught how to avoid such asbestos with harmful materials. On average, on commercial and domestic buildings rehabilitation and refurbishment, construction industry workers are electrocuted every year. Employees that works under overhead power lines and cables are prone to hazards. It has also been recorded that there is an increase in cases of electrocution that involves unqualified electricians but who are carrying out operations related to electrical works such as plumbers, joiners and decorators. On a construction sites, there are lots of materials that are handled and lifted either manually by humans or by machines. This practices may however come with a considerable risks and hazards. Where an employee’s duties involve manual handling, then adequate training must be carried out. Wherever a lifting machine like a crane is used, the competency of the employee must be tested before they are allowed to use the equipment. Records of training must be maintained for verification. It has been noticed and proven that a particular syndrome or ‘vibration white finger’ which is a painful and deliberating disease caused by the continuous triggering of blood vessels, joints and nerves as a result of using a vibratory power tools and ground working equipment. The construction site is a place of different activities and lots of dust and mostly invisible, fine and toxic combination of materials and fibers can cause health risks and hazards to workers by causing disease such as chronic obstructive pulmonary, asthma and silicosis. The proper use of the protective equipment will prevent both the disease and damage to respiratory organs. Having itemized common hazards and risks associated with construction work, it is of good importance and service that every construction companies and industries have a working plan to reduce or prevent such risks and hazards. 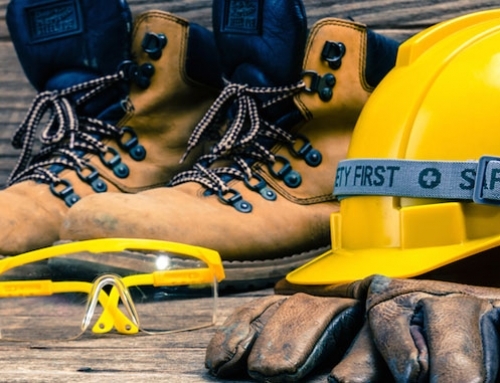 One of the plans to reduce or prevent risks and hazards is to make the personal protective equipment available to according to work that is being done. 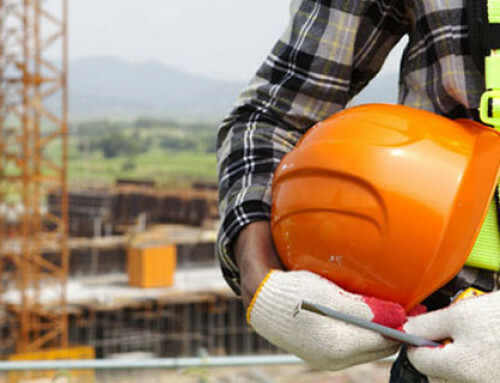 Use of appropriate protective equipment must be enforced while the training and lectures on safety and health on construction sites should also be given due seriousness.